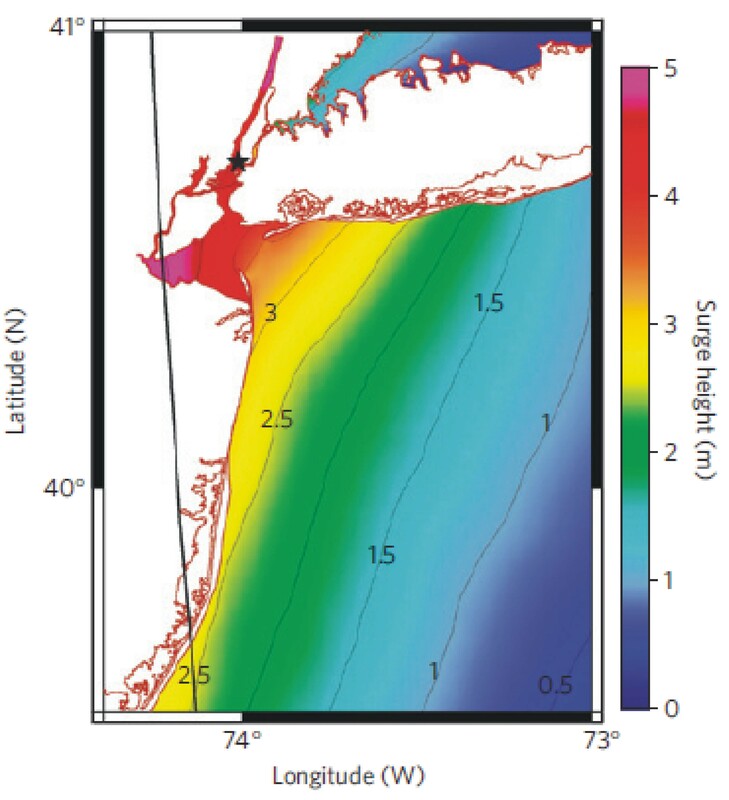 A worst-case hurricane storm track and surge at New York City, from Lin et al. Nature Climate Change, 2012 DOI:10.1038/NCLIMATE1389. The first event will feature Kerry Emanuel, professor of atmospheric science at Massachusetts Institute of Technology, speaking on “Assessing storm surge risk at New York City”. There will be 1-2 events per semester, covering topics ranging from atmospheric science, physical oceanography, meteorology, climate, hydrology, and so forth. The event will be followed by a one-hour reception. Reply to this post if you’d like be added to the attendance list! 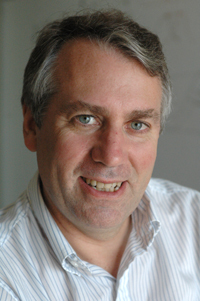 Kerry Emanuel is a professor of atmospheric science at the Massachusetts Institute of Technology, member of the National Academy of Sciences, and winner of the Carl Gustaf Rossby Research Medal from the American Meteorological Society, its highest honor. He is most well-known for his work on ocean heat and tropical cyclones, and more recently on relating this to climate change. He is currently primarily working on various aspects of moist convection in the atmosphere, and on tropical cyclones. He is interested in fundamental properties of moist convection, including the scaling of convective velocities and the nature of the diurnal cycle of convection over land. His group has developed a promising technique for inferring tropical cyclone activity from coarse-grain output of climate models or re-analyses. This entry was posted in climate, water and tagged American Meteorological Society, AMS, chapter, Columbia, cyclone, hurricane, Kerry Emanuel, meeting, New York City, seminar, storm surge, tropical. Bookmark the permalink. I’d like to reserve a spot. Steve – you are officially signed up and on the list! See you in November. I’d like to go, please sign me up! John — based on our last email exchange, you’re not coming, but tell me if that changes. Yep, will be out of town unfortunately (didn’t know that on 9/25). Gotchya on the list. And good luck at ConEd – we really appreciate what you people are doing to get the city buzzing again! I would like to reserve a spot. Great! See you on the 15th. Great! See you Nov 15th. I’d like to attend. Please reserve a spot. Thank you. Great! See you next Thursday. I’d like to attend. Is there room to bring two guests who are visiting our NASA/Columbia climate institute that day? If so, please reserve spots for Jasmine Remillard and Marcus van Lier-Walqui. Many thanks. I’d like to attend. Thanks. I would like to attend. In case she hasn’t rsvp’d, I will be coming with Ning Lin as well. Great! It’ll be good to see you and also nice to meet Ning. Phillip — I’d like to attend, please. Sorry to not be there, But Please realise you have my middle initial wrong. I would like to attend the next one. I have already received e-mail and will be sure to confirm. no need to confirm – just show up. Hope to see you. Great – see you on Thursday. I would like to sign up, if its not late. You are signed up – plenty of room left. Sign up some friends! Great! Got you on the list.